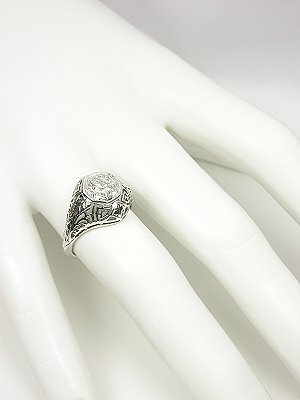 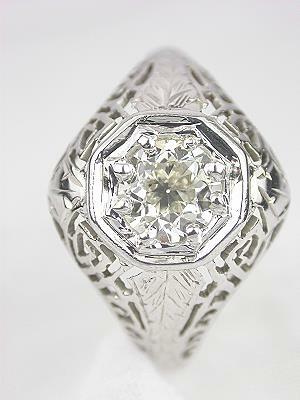 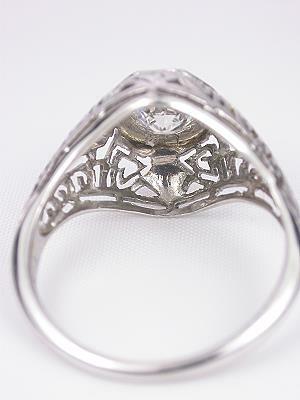 In this engagement ring, circa 1925, an EGL certified old European cut diamond is set in a hand engraved delicate band of white gold. 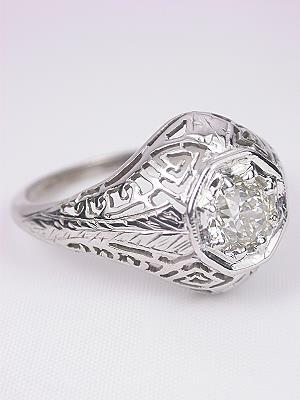 Like intricate lace, the remarkable detailing gives the ring a light airy quality, and the ring's subtle curvature appears to present the diamond upward away from the finger and out towards the world. 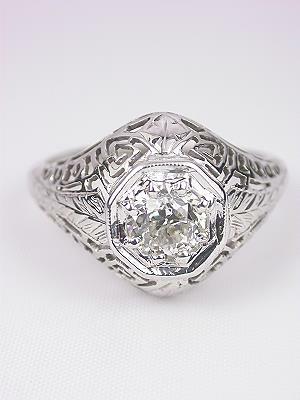 Details: Antique, Circa 1925. 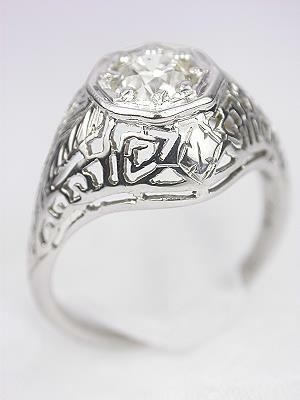 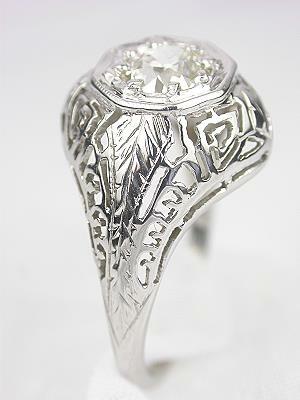 14k white gold. 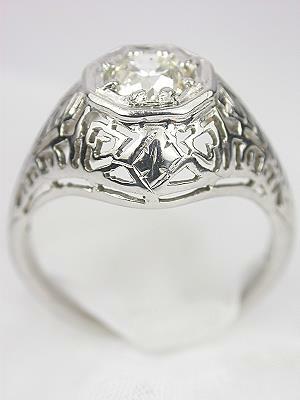 EGL certified Old European cut diamond; H, SI1, 0.71 carats.